When you walk or run the Global 6K for Water, you provide life-changing clean water to one person! You can create even more impact by becoming a host site and gathering friends and family to walk and run with you. It’s easier than throwing a birthday party. When you sign up to host a 6K on Saturday, May 4, 2019, we’ll equip you with online resources like a planning guide, marketing materials, and race day experience goodies including a start and finish banner, mile markers, and T-shirts, bibs, and medals for your participants. Mendy Burnett and Kim Swader like to make things happen. They like it even more when their community comes together to make things happen for a cause dear to their hearts. They have organized World Vision’s Global 6K for Water at their kids’ school, Chanute Christian Academy in Chanute, Kansas, every year since 2017. As host site leaders, Mendy, a teacher and mother of three, and Kim, a stay-at-home mother of four, tackle lots of moving parts. Promoting the event at school assemblies, organizing teams of volunteers, laying out the 6K course, and coaching participants to fundraise for clean water can take a lot of time and effort. But they have turned it into a community-wide team-building exercise. 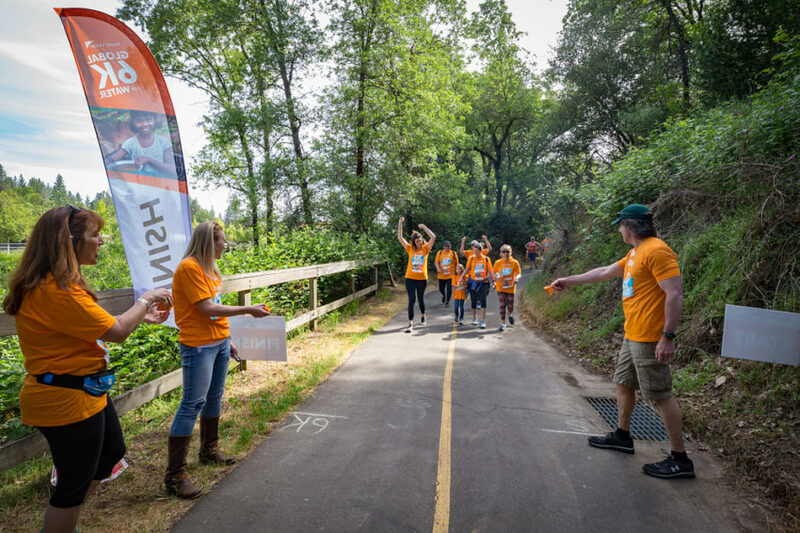 In fact, they have used the opportunity not only to raise support for World Vision’s clean water work around the world but to galvanize students, their families, and the whole community for a cause greater than themselves. 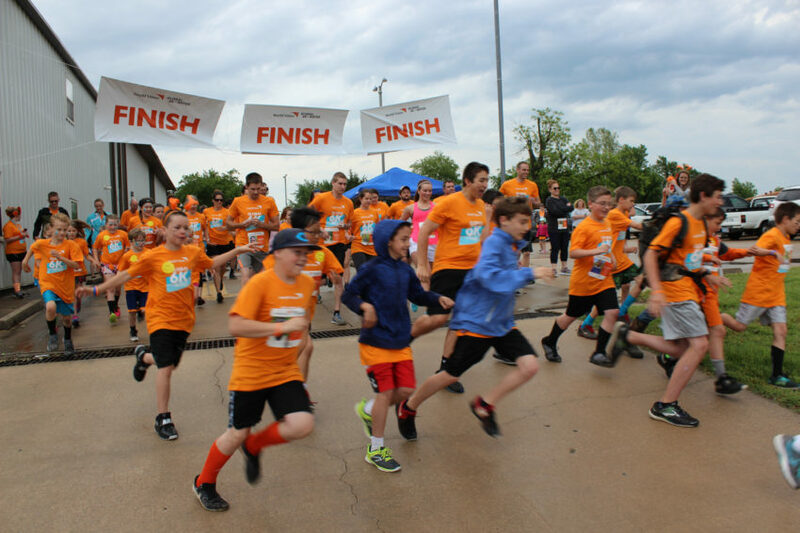 The partnership between Lake Center Christian School and World Vision started when students in the running club signed up for World Vision’s Global 6K for Water. When the day arrived last May, Ohio’s spring weather wasn’t exactly ideal — it was snowing. Despite the less-than-stellar conditions, 40 of the 50 participants who’d committed still showed up for the event. Dannon Stock, who led the running club at that time, says those tough circumstances contributed to the students’ feelings of solidarity with children who have to walk 6 kilometers every day for water. 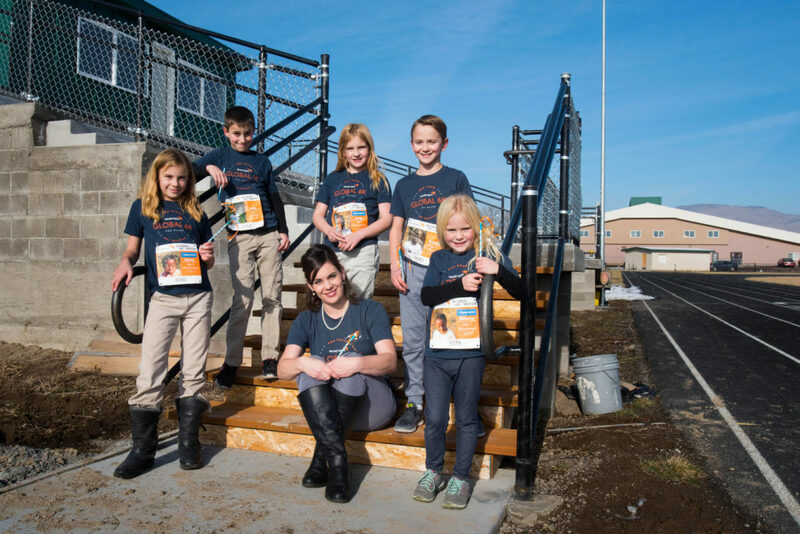 This year, the fifth-grade classes have embraced World Vision’s Global 6K for Water as the service-learning component in their school, which is about 30 minutes outside of Akron. Service to Christ is one of the school’s core values, and they look for unique ways to meet the needs of their immediate area as well as the global community. This event seemed tailor-made for them. After avid runner Ryan Dwornik finished a 20-mile training run for the Columbus Marathon, he was exhausted. But then he thought to run another 3.73 miles (6 kilometers) — the average distance women and children in Africa walk for water that is often unsafe to drink. “While I’m out enjoying a run, I think about how people in Africa don’t have the same freedom because they’re so consumed by this need for water that it takes over their entire life,” Ryan says. This inspires him to do everything he can to help. Ryan’s a manufacturing manager for Magna Exteriors — an operating unit of Magna International, one of the largest automotive parts suppliers in the world. 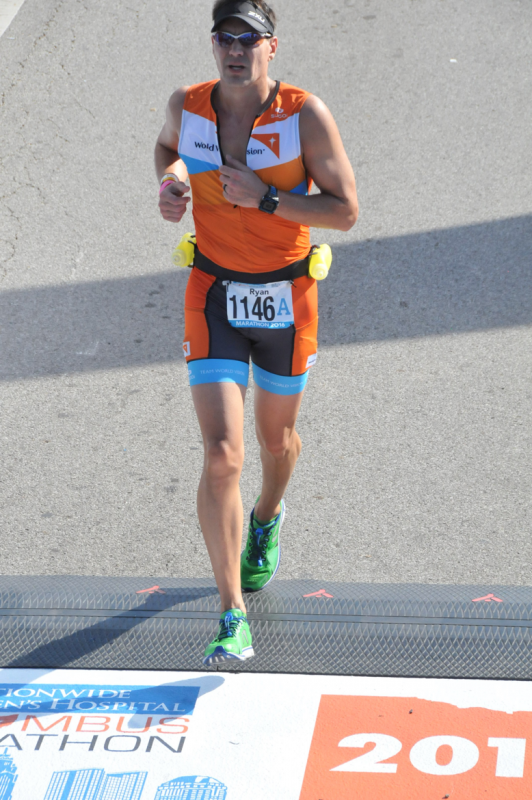 When he joined Team World Vision for IRONMAN Wisconsin, he set an ambitious $25,000 fundraising goal for himself. Then the president of Magna Exteriors challenged him to double it. But Ryan knew that he wasn’t going to be successful without some help and large-scale thinking. Meanwhile, his coworkers were discussing how they could bring together Magna Exteriors’ running community across multiple locations and tie it into a charity. One thing led to another, and in 2017, more than 2,000 Magna Exteriors employees and their families participated across 13 countries, raising more than $250,000. “We’re coming together as a company to do something bigger than we could do individually,” Ryan says. Walking or running a 6K is easy for Tony Gonchar, Delta Air Lines’ vice president in Seattle. But after World Vision’s 2017 Global 6K for Water, he had a new appreciation for the distance. Six kilometers is the average distance that people who lack access to clean water walk each day to get water, often carrying heavy jugs or jerry cans filled with water on the return trip. And that’s what Tony did: carry a 5-gallon jerry can, filled with about 40 sloshing, awkward pounds of water, on a route around Gas Works Park in Seattle. 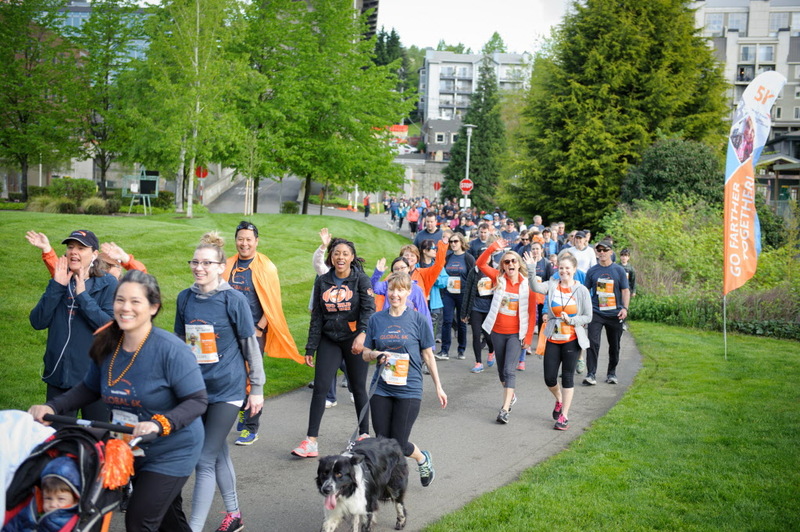 About 1,300 walkers and runners in Seattle and more than 28,000 people worldwide walked the Global 6K to raise money to provide clean water to people without access. Through World Vision’s work, one person gets clean water every 10 seconds. “With every step, I was imagining what it’s like to do this barefoot,” he says. “What it’s like to do on dirt, in fear of your life, and to only — at the end of the journey — have a can full of dirty water that needs to be purified. 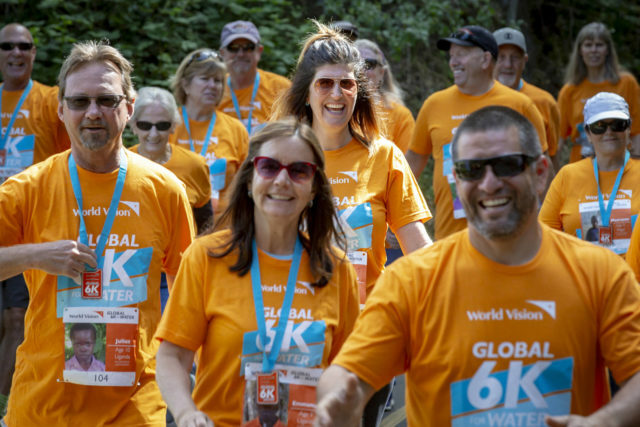 Delta is again the official sponsor of the 2018 Global 6K for Water event in Seattle at Gas Works Park. “We’ve been partners with World Vision as their preferred airlines supplier for the last five years,” Tony says. The 6K was attractive because it was an event calling for personal engagement — walk a mile in the shoes of people that really have a very difficult time in life trying just to get the things we take for granted, like clean water. So Delta, Tony says, was happy to once again support the 6K event as part of its efforts to support the local community. In Seattle alone, Delta partners with more than 100 charities, and worldwide, Delta gives back 1 percent of its profits — about $40 million — to charitable organizations. Last May, lugging the jerry can on the 6K route, Tony’s race bib featured an 11-year-old for whom he walked. He says, “I can tell you, having walked with the jerry can, you have a real appreciation how difficult it could be just to get something that we turn the tap on and take for granted. A small-town church in Tennessee is making a global impact. Ryan says he was immediately excited about the idea when he got a flier in the mail. It was the perfect opportunity for the church to be on mission. First Baptist Church of Columbia hadn’t done something like this before. It sent a wave of excitement through the church. For their first time doing this, Ryan says the church was deeply motivated, and they went all out: signing up for the race, enthusiastically raising money, and about 20 people volunteering to help with event logistics. Each participant’s $50 entrance fee provides clean water to one person. Runners and walkers can also choose to raise funds for water on a fundraising page or to sponsor the child pictured on their race bib. Each time a person crossed the race’s finish line, Ryan and other volunteers put a medal around their neck, looked at them, and reminded them: “Because you walked this 6K today, a child doesn’t have to.” They referred to the child pictured on each participant’s race bib. It was a powerful moment for Ryan and many others, he says. Participants ranged in age from 6 all the way up to their 70s. It helped Ryan, the church, and the community cast a vision for a larger communitywide 6K event in 2018. He and last year’s participants have been promoting the Global 6K for Water in their community, and he’s planning to take the idea to the city council before this year’s event. 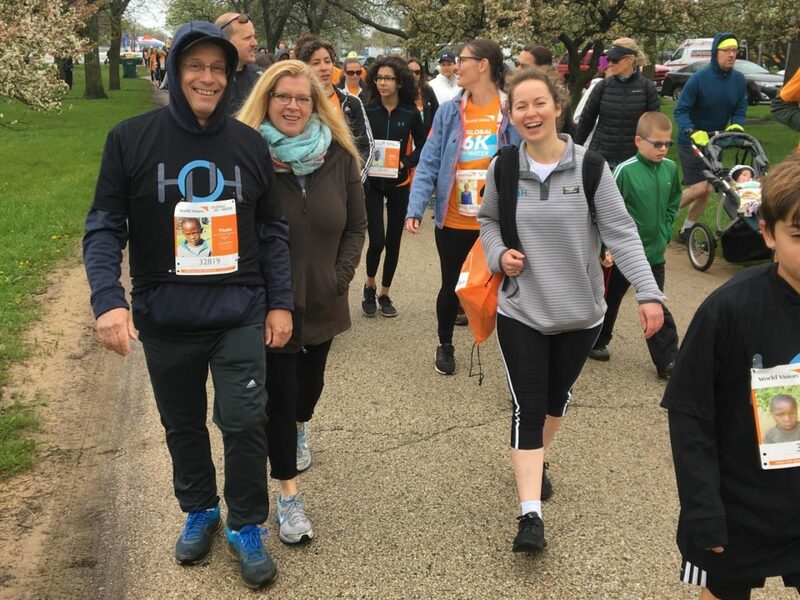 Then last year, about 70 people from the church joined the Global 6K for Water: young and old, walking or running to serve in a simple, but powerful way. 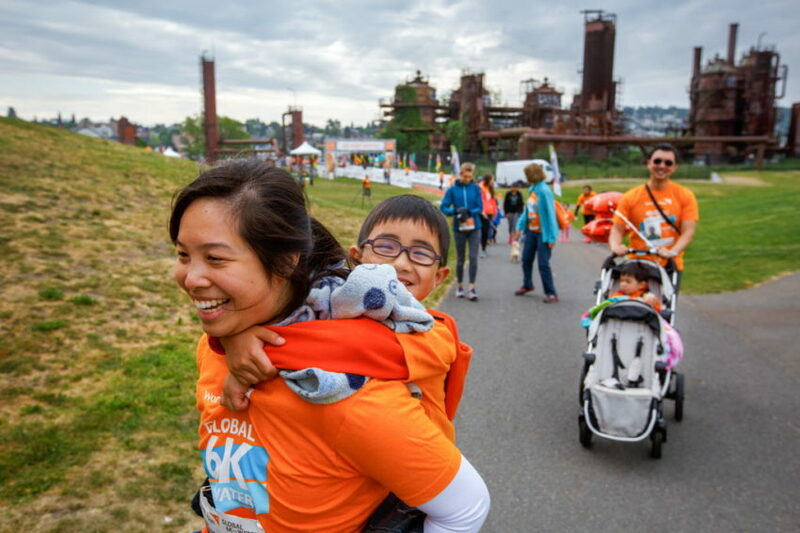 Last year, about 1,300 people walked or ran the 6K course near Gas Works Park in Seattle. Worldwide, about 27,000 people walked or ran to raise awareness and money to solve the world’s water crisis. 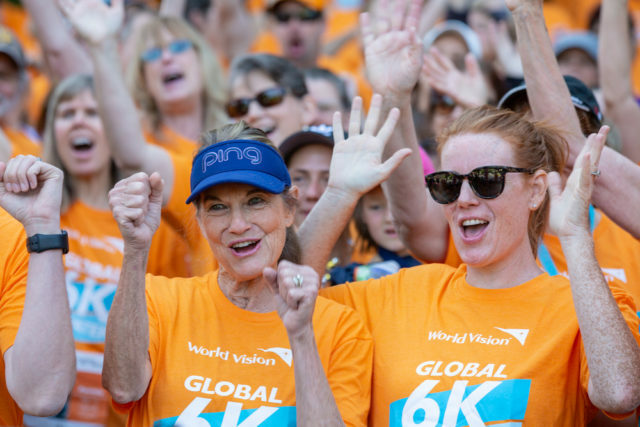 On May 19 and 20, 2018, World Vision will again host the Global 6K for Water and Celebration Sunday with participants across the U.S. and around the world. Why a 6K? Six kilometers, about 3.7 miles, is the average distance people — usually women and girls — walk to get water in the developing world. It’s not a leisurely stroll; it’s a difficult, frequently dangerous, and time-consuming journey. And the water is dirty. The kids get it, she says. They understand what it means to have to go get water. They understand the effort to walk 6 kilometers and that kids their age do that every day around the world. Often, more than once a day. 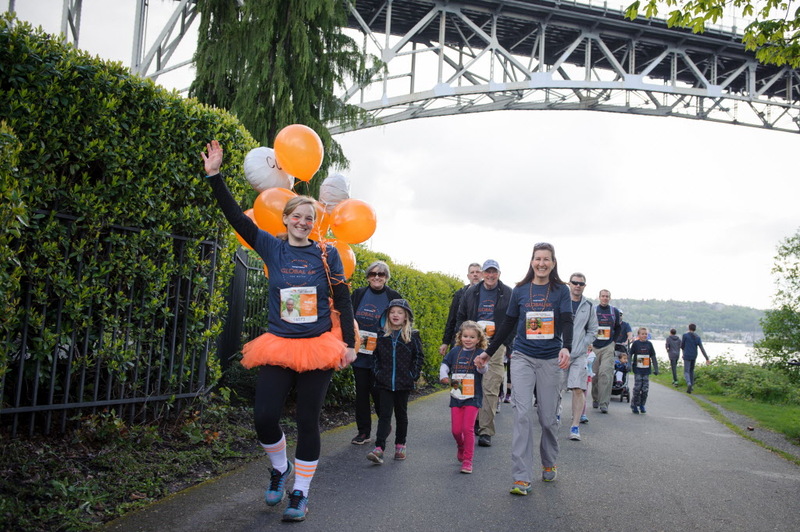 But the Duim family wanted to do more, so they sponsored one of the children on their race bibs that day — their fifth sponsored child through World Vision. As teacher Tammy Belau sat with pigtails in a lone chair in the middle of the gym floor in front of 250 students, two eager middle-school boys flanked her wielding dull scissors and wide grins. Tammy quickly counted into the microphone — one, two, three — and the boys spent the next two minutes cutting off 10 inches of her hair. This was the boys’ reward for finishing first in the Global 6K for Water last May. 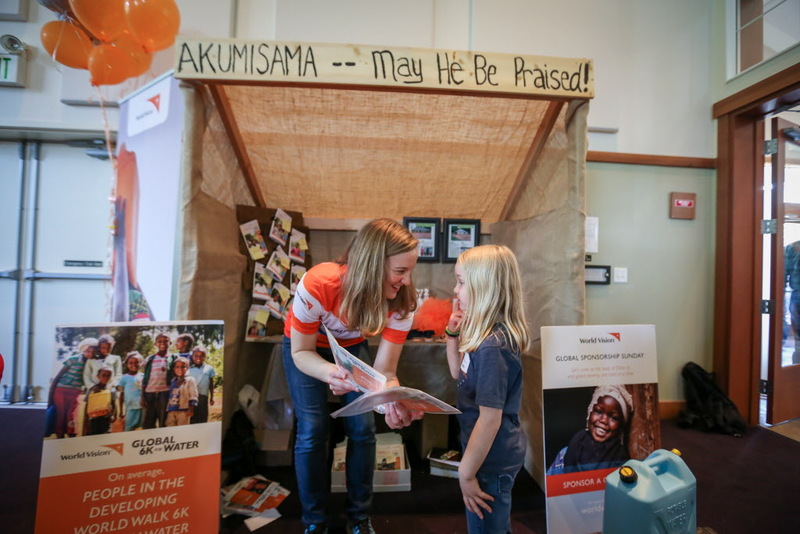 Tammy, a middle school math and high school finance teacher at Hosanna Christian School in Klamath Falls, Oregon, hosted the event to encourage the community to raise funds for World Vision to bring clean water to communities in the developing world. To add an extra layer of motivation, she pledged to donate an inch of hair for every 10 people registered if their school reached 100 participants. Her long, brown locks discovered their fate months earlier when Tammy heard about World Vision’s Global 6K for Water at a teachers’ conference. She was immediately drawn to the cause — partly because it sounded easy to do and partly because she knew the people of Klamath Falls would be keen to participate. So she signed up the school as a host site and started recruiting students, teachers, her kids, and community members. Getting buy-in was easy, Tammy says. She announced it in daily school emails and at weekly chapel gatherings with students and posted a bright orange and white sign in the hallway. 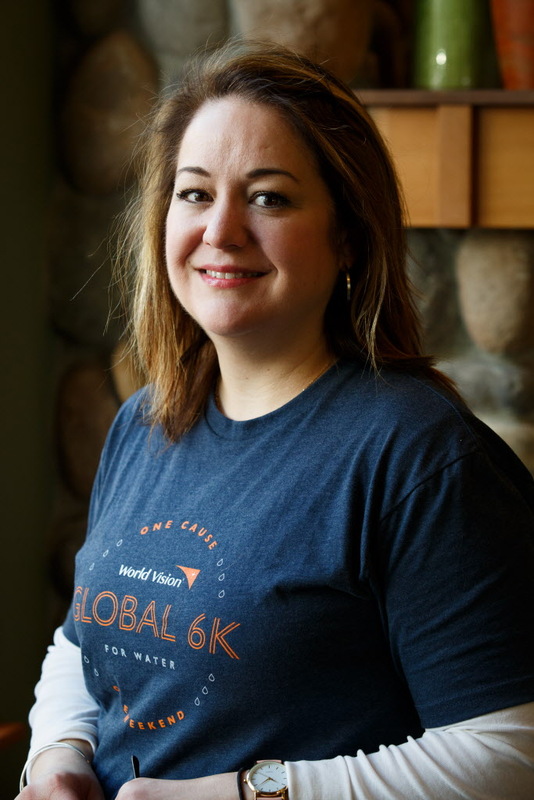 In the lead-up to the 6K, she found encouragement and camaraderie in the community cultivated on the Global 6K leaders’ Facebook page set up to share photos and ideas among World Vision staff and host site coordinators around the world. A few years ago, the water supply dried up in part of their county, so those residents had to drive to Klamath Falls to get bottled water to weather the drought. Tammy is a doer and inspires others to be one too. But the implications of the cause didn’t fully engulf her until right before race day. Seeing those ditches helped Tammy and her daughter grasp the reality of what children on their race bibs are up against. Understanding that reality is huge, she says. Altogether, Tammy and her team raised about $4,000, which will bring clean water to 80 people. Tammy and her husband were also inspired to embed this cause deeper into their family ethos, so they sponsored the three children on their race bibs. Nick DeBone is your typical runner. He’s the 30-year-old dad you see running while pushing his kids in a stroller. Occasionally, his kids might jump out for a bit and join him, or they might be asking if it’s time to head home yet. 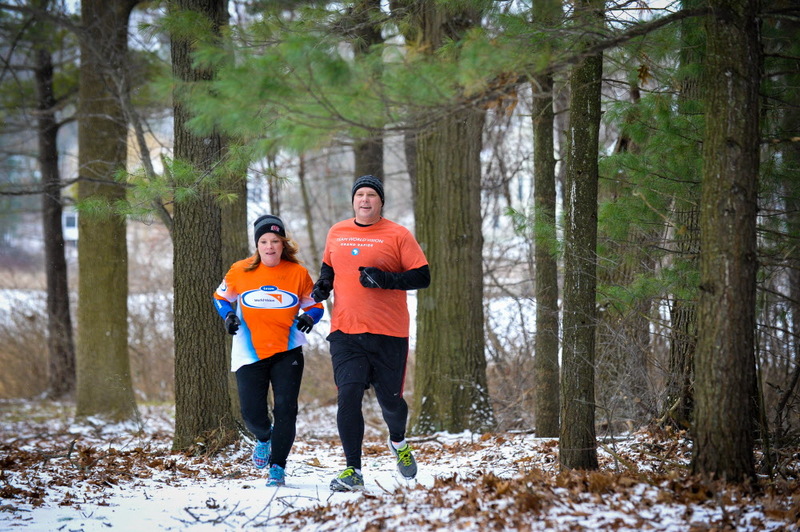 He enjoys running, and he’s tackled a marathon and a few half-marathons. Nick could have easily run the 6K his church hosted that frigid Saturday morning in March 2016, but instead, he chose mostly to walk. 6K, a little more than 3.7 miles, is the average distance women and children in Africa walk for water that is often unsafe to drink. Nick alternatively walked and jogged that morning so he could get to know and encourage the people around him — members of his church congregation who were walking, jogging, and running this average distance for an extraordinary cause. 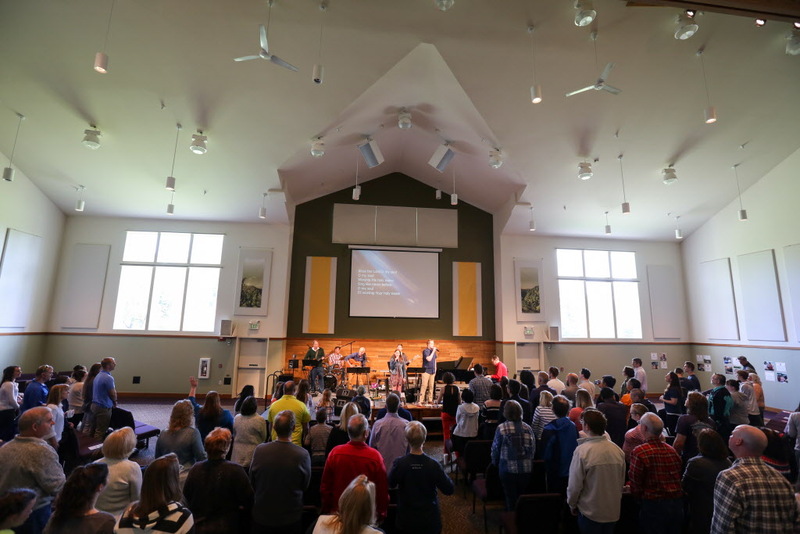 As a host site, his church in Spring Lake, Michigan, helped everyone register, mapped out a course site, and hosted more than 40 participants, who each wore a race bib with the name, age, and a location of a child who would receive clean water. “Honestly, a lot of times non-runners really have the biggest hearts for this mission,” says Nick. 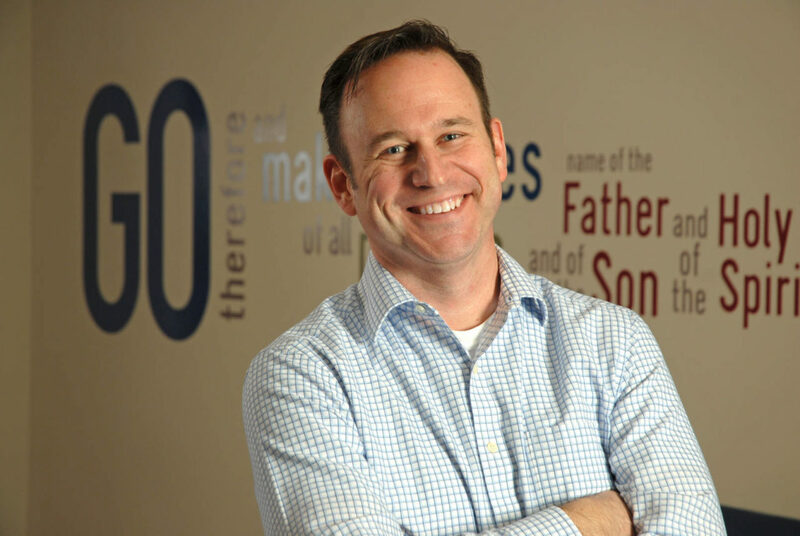 He organizes Team World Vision events — like the Global 6K for Water — with the All Shores Wesleyan Church outreach pastor, Thad Spring. But unlike Nick, Thad doesn’t think of himself as a runner. 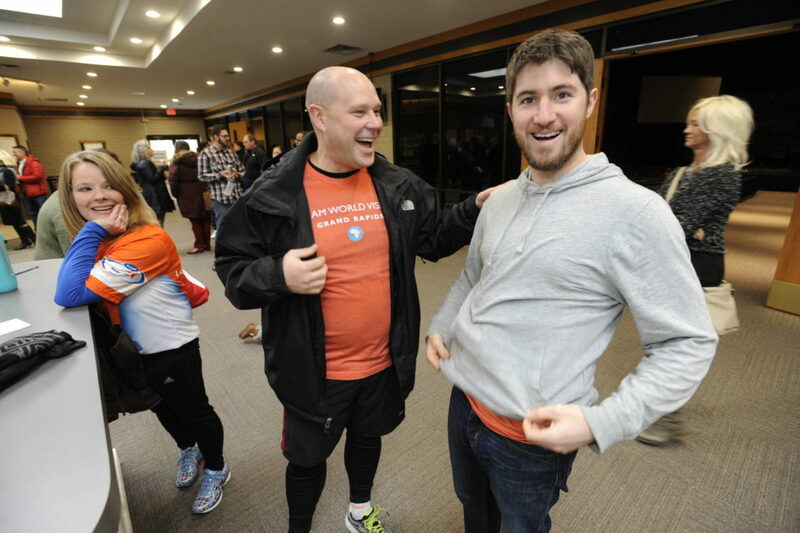 All Shores — a two-campus church of about 1,200 — first participated in the 6K back in 2015 with three participants, including Nick, but one runner was sick and barely slept the night before. Then in 2016, their church became a 6K host site. The morning of the 6K, they had about 25 people signed up, but then families kept arriving, and they nearly doubled that amount when it came time to begin. “We had a lot of people with strollers who walked and ran. We had younger kids who could walk the entire distance,” Thad says. The family impact really struck a chord with their congregation. This year, All Shores will collaborate with other local churches, expecting to more than double the number of participants from last year. And to heighten the experience, they’re offering water tanks for people to carry at the halfway point. 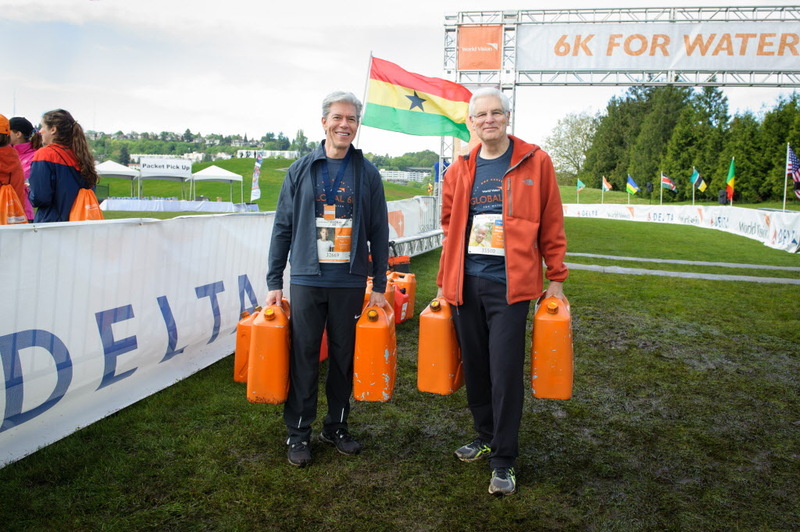 All Shores has raised about $50,000 for clean water over the past three years between the 6K events and running the Grand Rapids marathon and half marathon with Team World Vision. And now on Saturday mornings, their group of runners gathers for devotions, a running or fundraising tip, and a training run together. 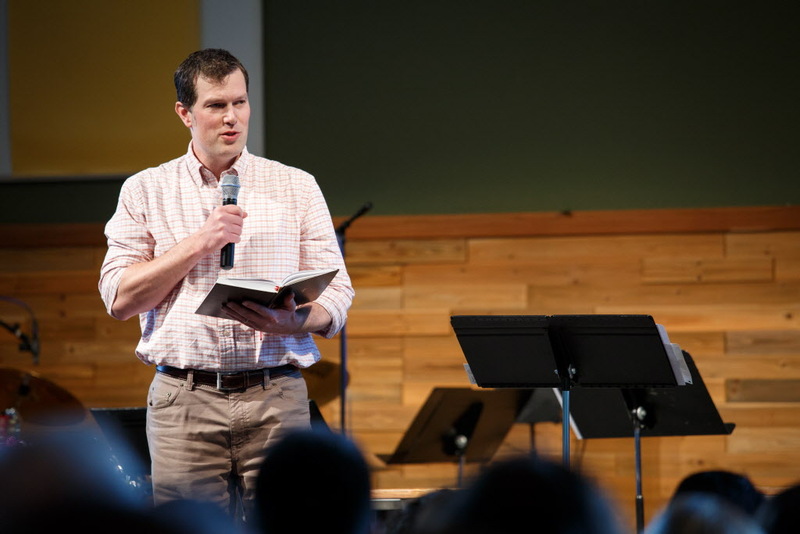 “We’ve created a running group and community of people who are reaching out to their friends for Christ,” says Thad. 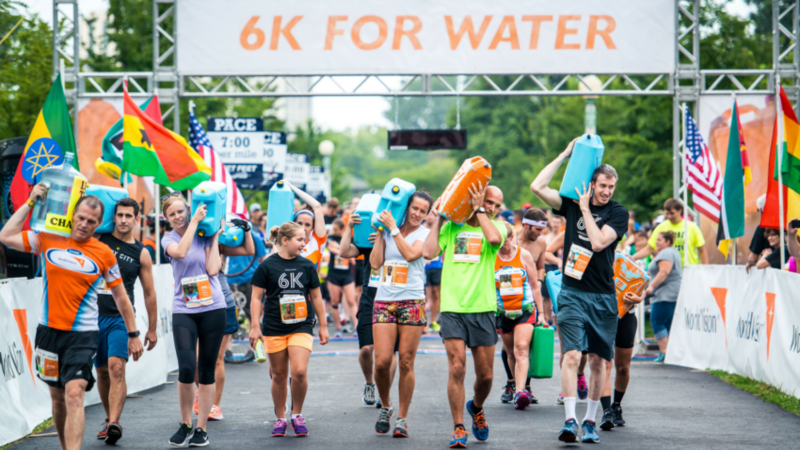 Register as a host site for the Global 6K for Water on May 4, 2019, to provide life-changing clean water to one person in need. You’ll walk or run with the picture of the child receiving clean water through World Vision’s water projects. Join us in praying that more and more communities would have clean water access, and thank God for the access to clean water gained by this community.